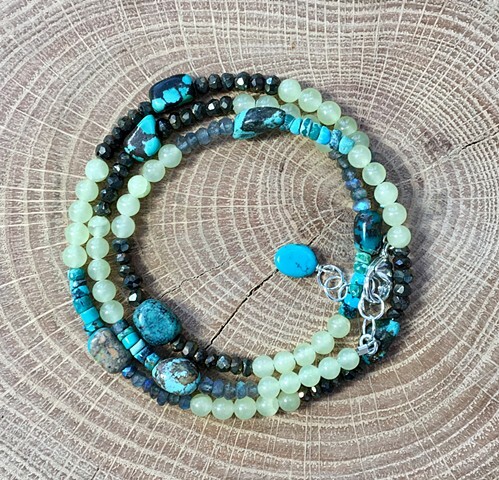 A pattern of repeating labradorite, pyrite, olive jade and turquoise gives you a visual energy that feels Southwester to me (one of my favorite places to be). Wear this piece as a 5-strand wrap or one long necklace. Sterling lobster claw closure with 1" sterling extender chain. Approx 33"